We swing flies for steelhead. 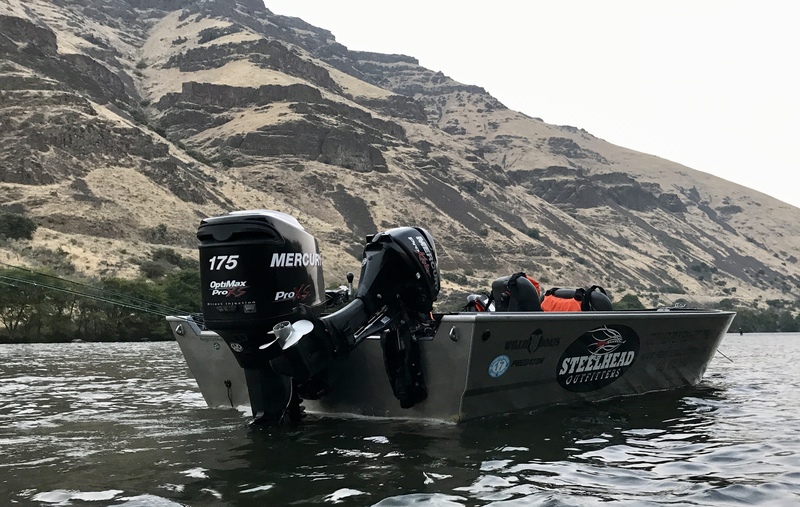 Steelhead Outfitters is a Deschutes River jet boat guide and outfitter. 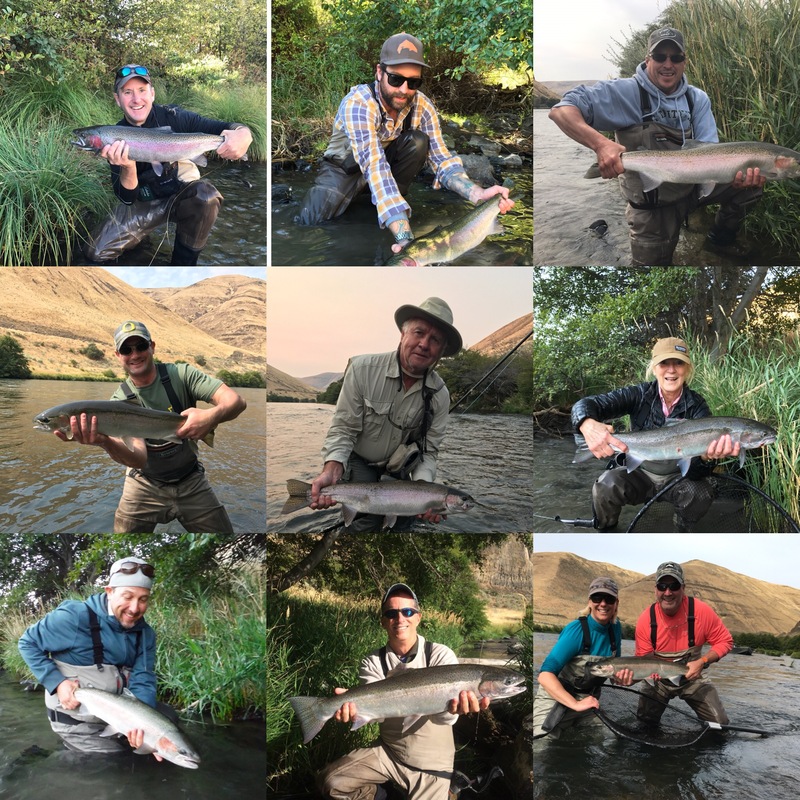 We offer single and multi-day guided fly fishing trips as well as seasonal sled camps on the Lower Deschutes River for summer and fall steelhead. Accessing the lower 24 miles of the Deschutes River via jet boats or jet “sleds”. All trips originate at the mouth of the Deschutes River at Heritage Landing near the Columbia River. 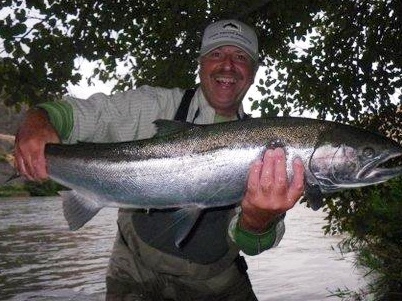 Our business is fly fishing for Steelhead with Spey rods and jet boats. The river is open to power boats year round, there is an exception every other Thursday through Sunday starting June 15th and ending October 1st. Although we utilize all twenty four miles at times, our focus is on the best water and the brightest fish which are found in the lower twelve miles of the river. The Deschutes is littered with rapids and drop-and-run pools tailor made for swinging a fly. Macks Canyon and Heritage Boat Ramp are the two access points for the lower twenty four miles. The only way to take advantage of this secluded piece of river is a multu-day float or a jet boat trip from the mouth. On average you will fish more good runs in one day with us than on a multi-day trip in a drift boat. We can’t control the fishing or the weather but we definitely put the odds in your favor. The use of a jet boat equals flexibility, it’s is a game changer, you get to be in the right place at the right time. We get to go where we want and when we want. A guided jet boat trip starts in the dark at Heritage Boat Ramp. We will get acquainted while we wait for the sky to lighten up and the trail upriver to get exposed. As we move up river fishing the famed runs of the lower Deschutes we ascend Moody, Rattlesnake, Knock Knock, Colorado, Gordon Ridge and Washout – all classed rapids. At the end of the day it’s time to descend…this is a crowd pleaser. 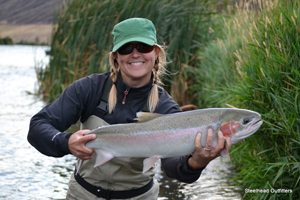 The Deschutes Steelhead season begins in July and ends in early November! By early August the Steelhead run is in full swing, by September fish can be found as far upriver as Pelton Dam. As the crowds disperse in late September the fall season begins which means some of the biggest fish of the season show up in the lower lower. Late September through October present opportunities to hook large fall Chinook Salmon. August through September is the busiest part of the season so make your plans early! Day trips are all inclusive. 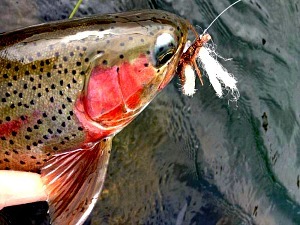 We provide a modest lunch, the highest quality fishing rods and reels, fly lines, leaders, sink tips and yes steelhead flies. While we encourage clients to bring their own gear, they are welcome to use ours! NOT INCLUDED – OREGON FISHING LICENSE.